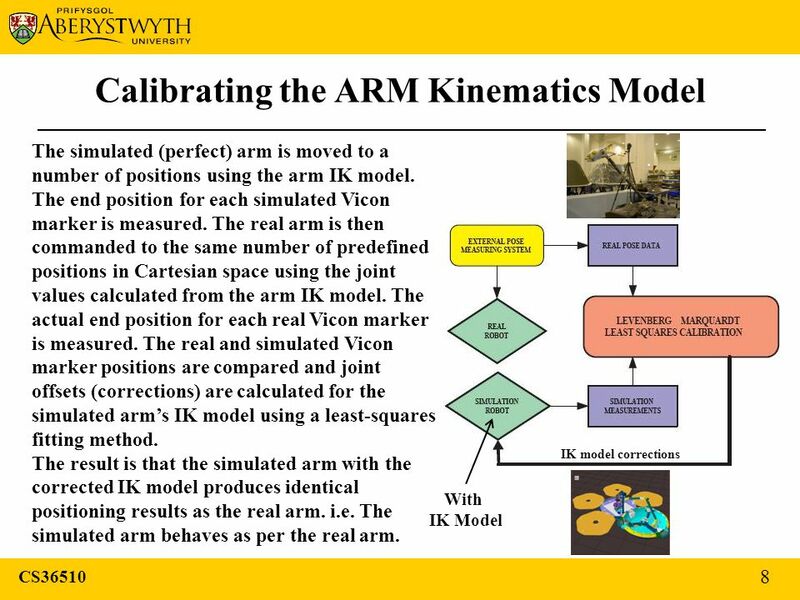 From Kinematics to Arm Control a)Calibrating the Kinematics Model b)Arm Motion Selection c)Motor Torque Calculations for a Planetary Robot Arm CS36510. 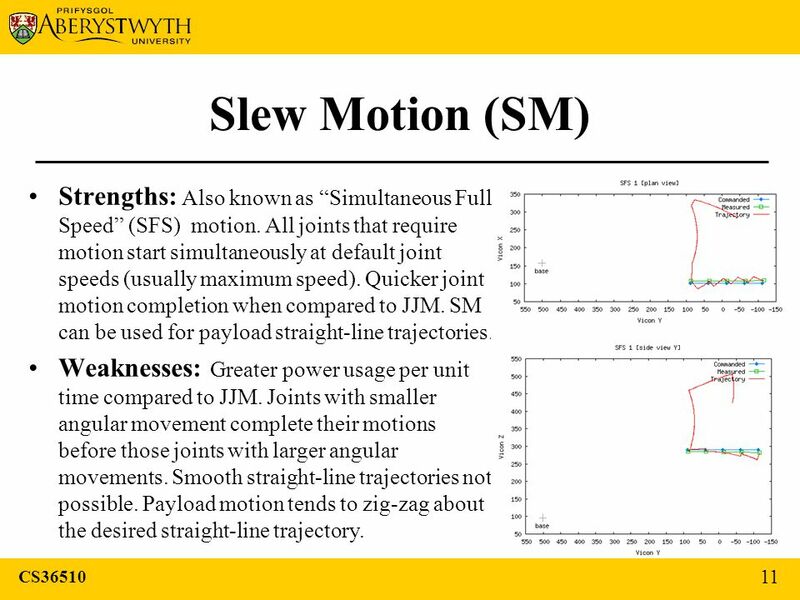 11 Slew Motion (SM) CS36510 11 Strengths: Also known as “Simultaneous Full Speed” (SFS) motion. 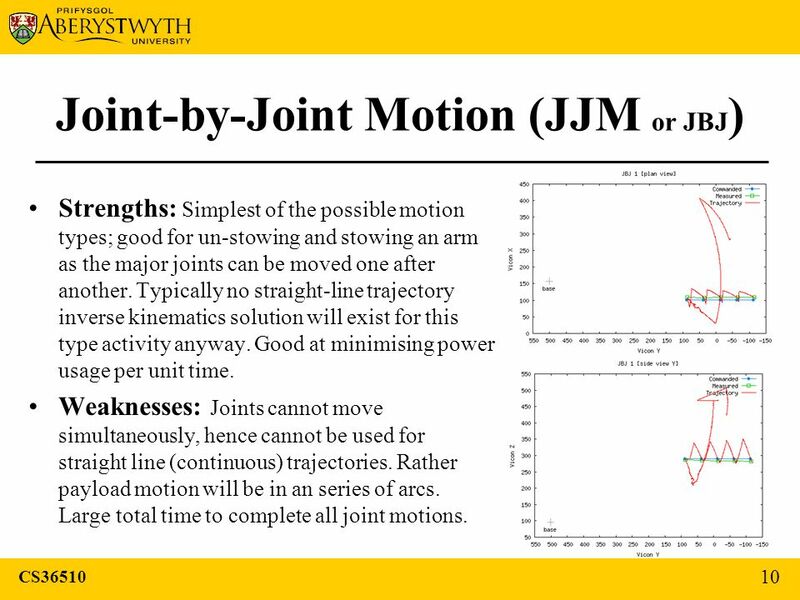 All joints that require motion start simultaneously at default joint speeds (usually maximum speed). 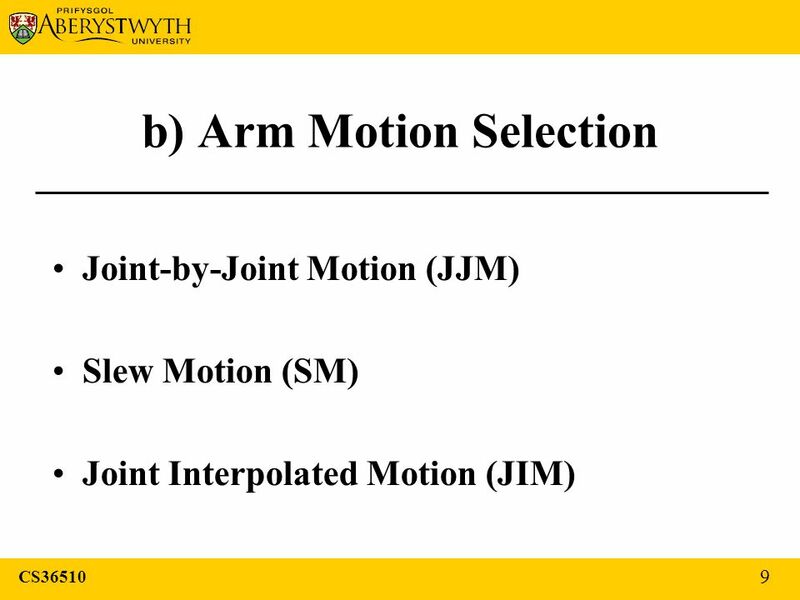 Quicker joint motion completion when compared to JJM. 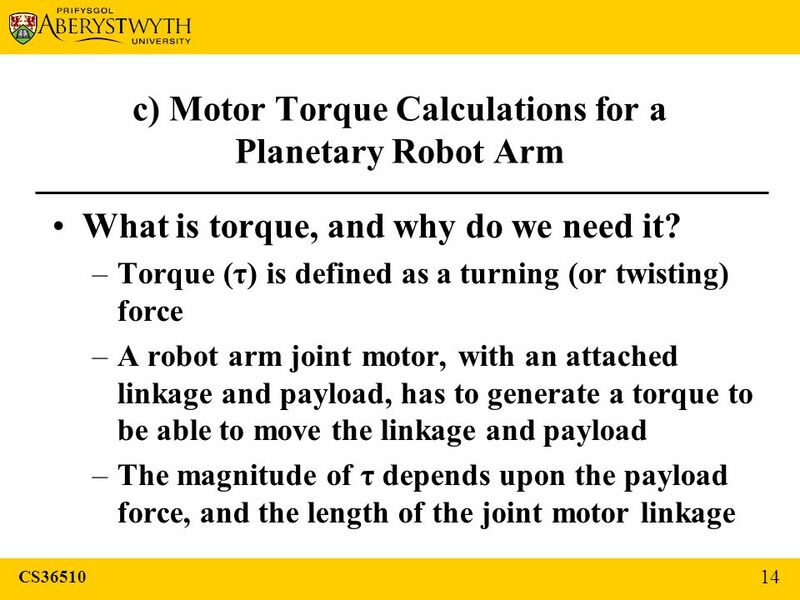 SM can be used for payload straight-line trajectories. 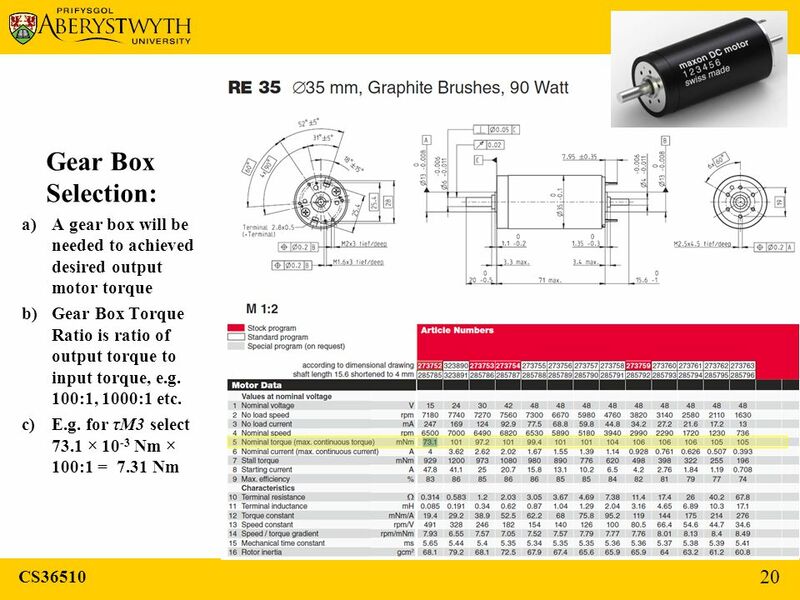 Weaknesses: Greater power usage per unit time compared to JJM. 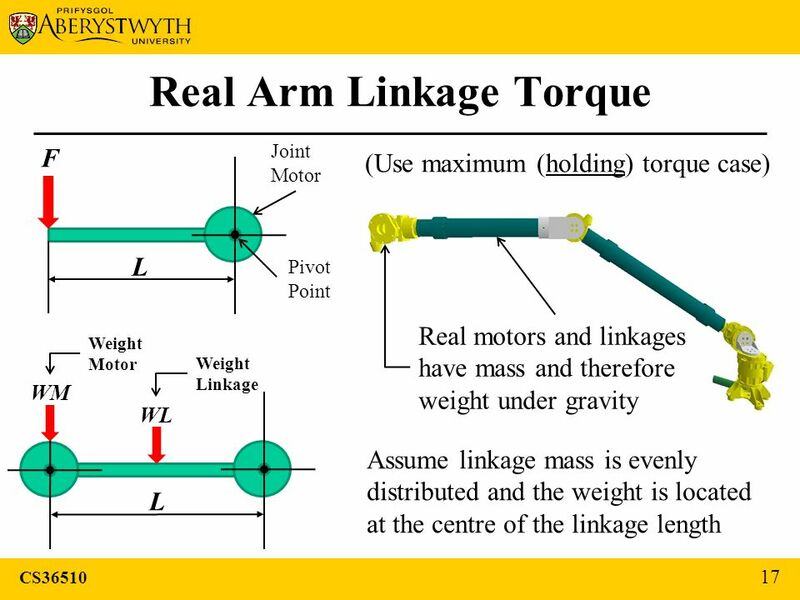 Joints with smaller angular movement complete their motions before those joints with larger angular movements. 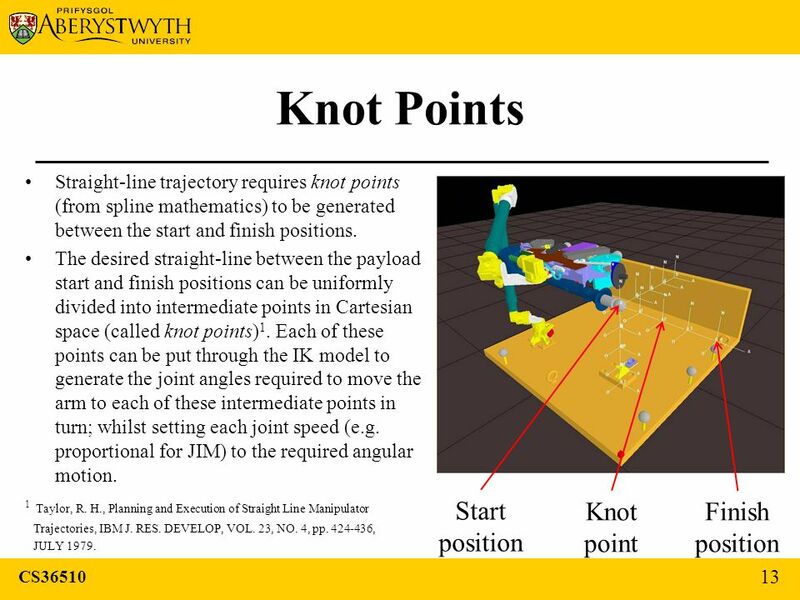 Smooth straight-line trajectories not possible. 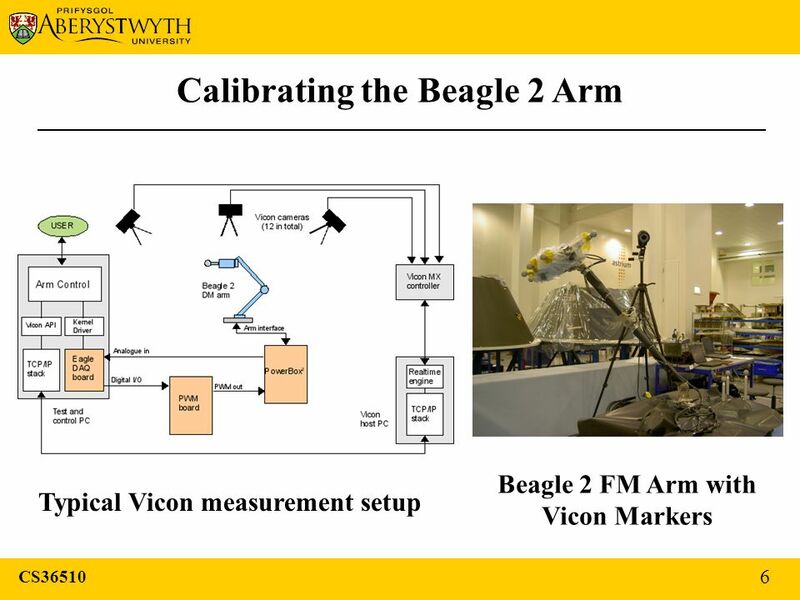 Payload motion tends to zig-zag about the desired straight-line trajectory. 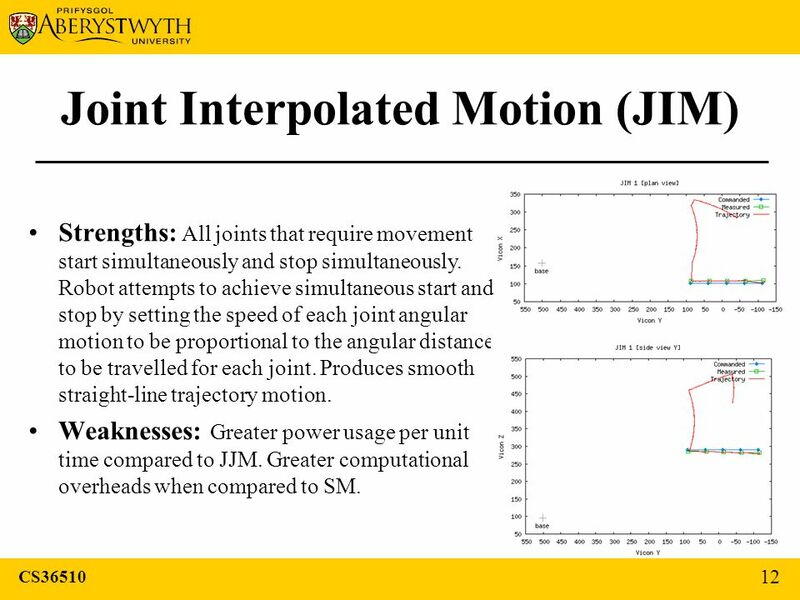 12 Joint Interpolated Motion (JIM) CS36510 12 Strengths: All joints that require movement start simultaneously and stop simultaneously. 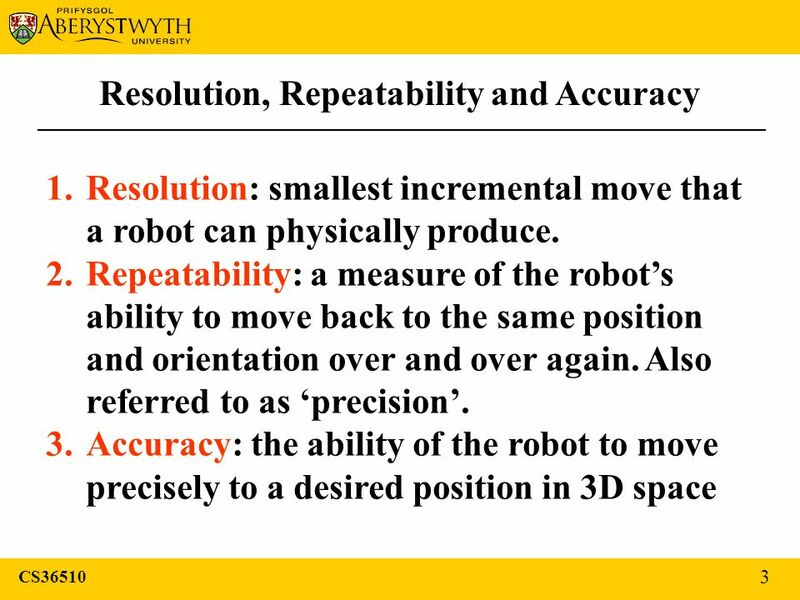 Robot attempts to achieve simultaneous start and stop by setting the speed of each joint angular motion to be proportional to the angular distance to be travelled for each joint. 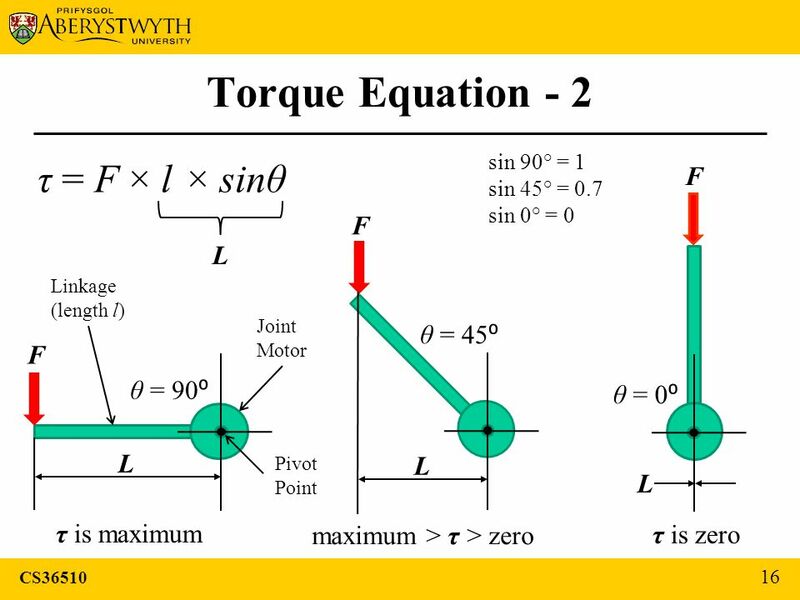 Produces smooth straight-line trajectory motion. Weaknesses: Greater power usage per unit time compared to JJM. 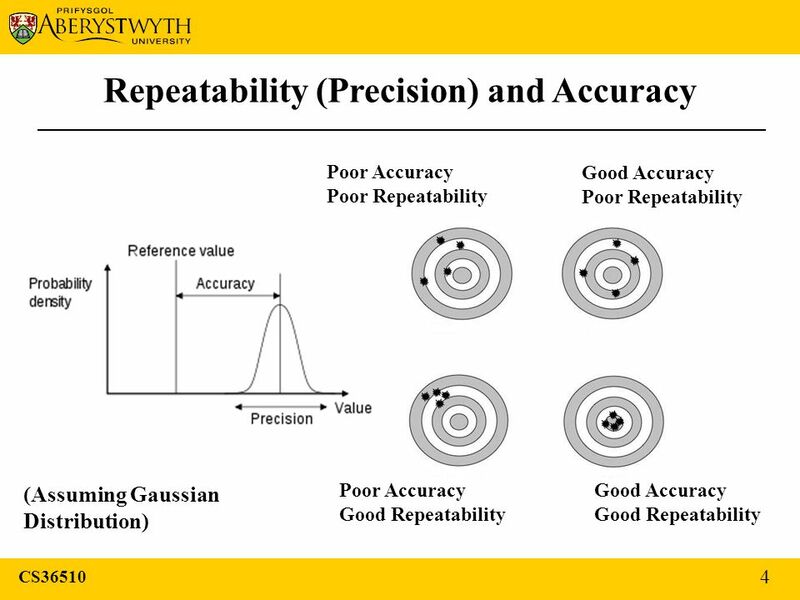 Greater computational overheads when compared to SM. 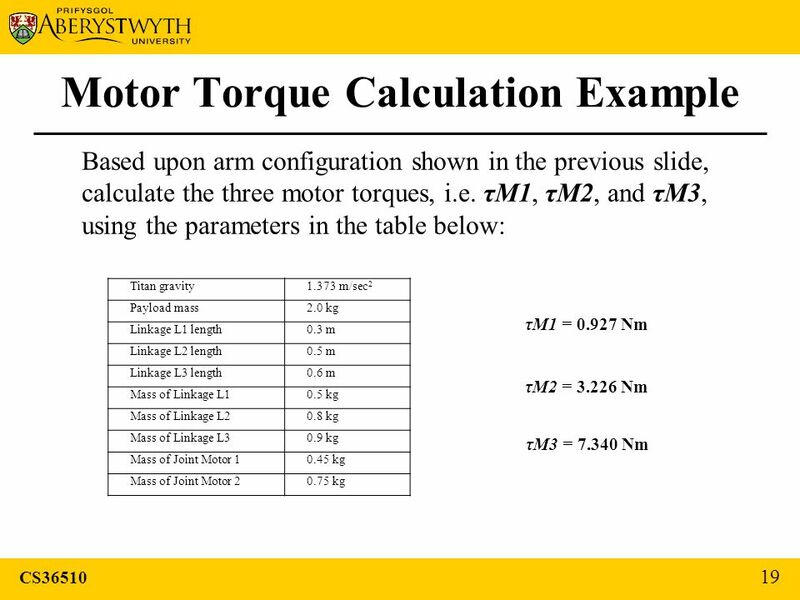 15 Torque Equation - 1 CS36510 15 τ = F × l where τ is the magnitude of the torque (N·m), l (in meters) is the linkage length, and F (in Newtons) is the magnitude of the force. In the vertical plane, the force acting upon an object (causing it to fall) is the acceleration due to gravity (for Earth, g ≈ 9.81 m/sec 2 ). 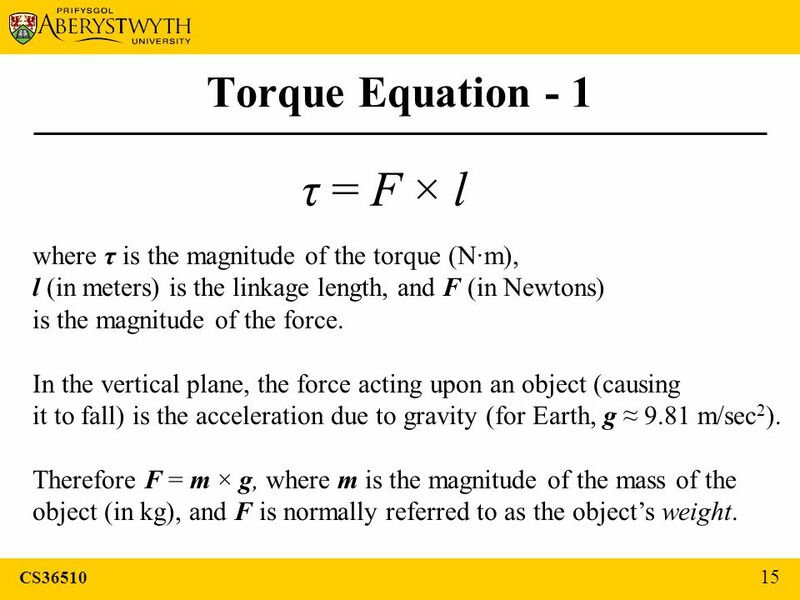 Therefore F = m × g, where m is the magnitude of the mass of the object (in kg), and F is normally referred to as the object’s weight. 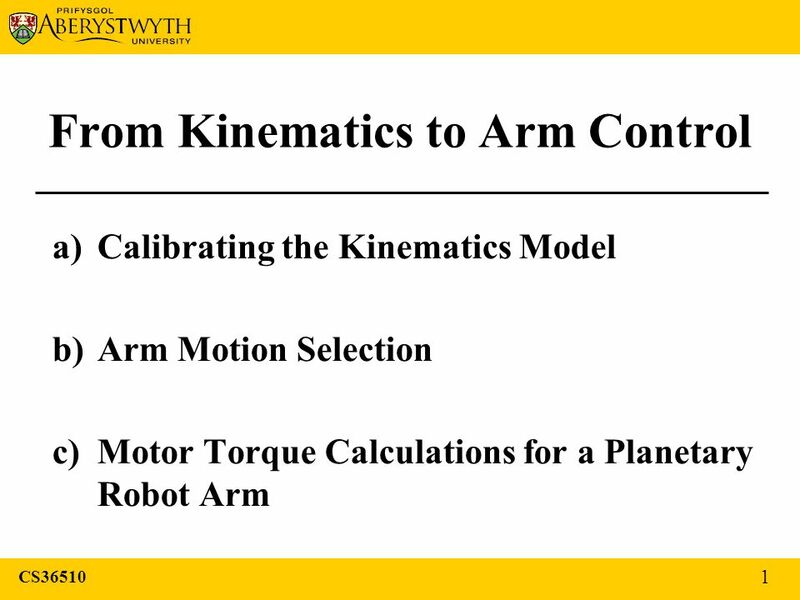 Download ppt "From Kinematics to Arm Control a)Calibrating the Kinematics Model b)Arm Motion Selection c)Motor Torque Calculations for a Planetary Robot Arm CS36510." Newton’s Laws 1. 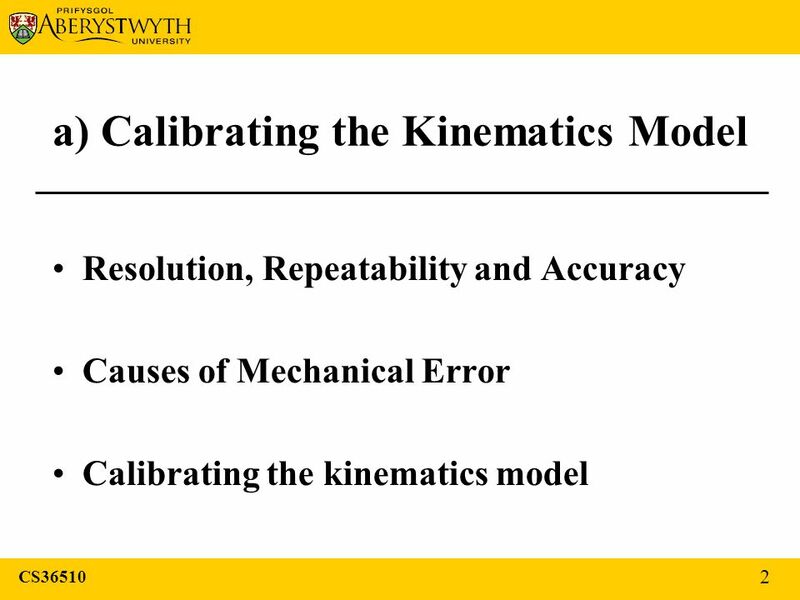 F. Newton’s Laws of Motion  Kinematics is the study of how objects move, but not why they move.  Sir Isaac Newton turned his attention. 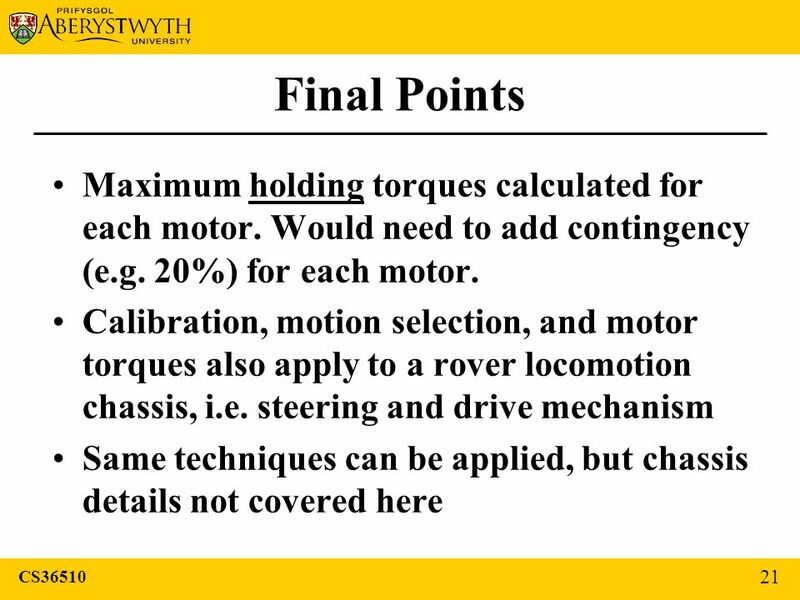 COMP322/S2000/L41 Classification of Robot Arms:by Control Method The Control unit is the brain of the robot. It contains the instructions that direct the. Trajectory Planning. 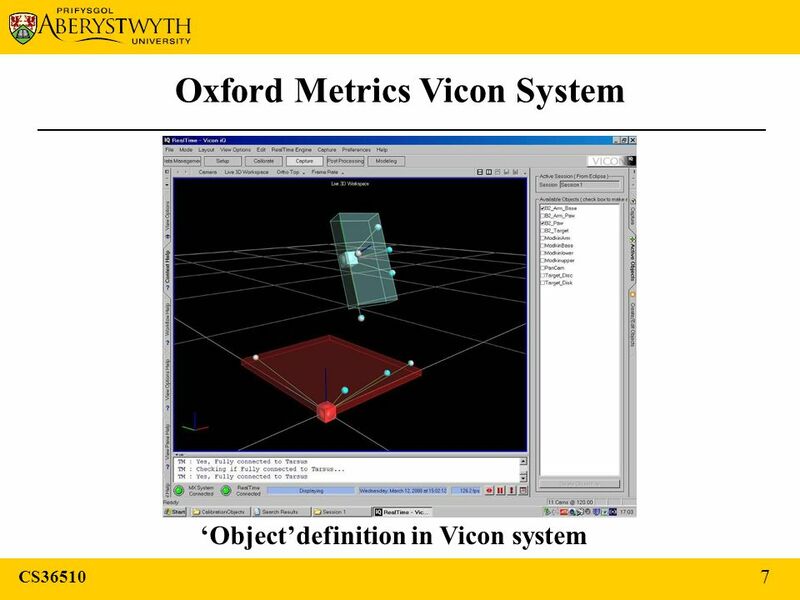  Goal: to generate the reference inputs to the motion control system which ensures that the manipulator executes the planned trajectory. 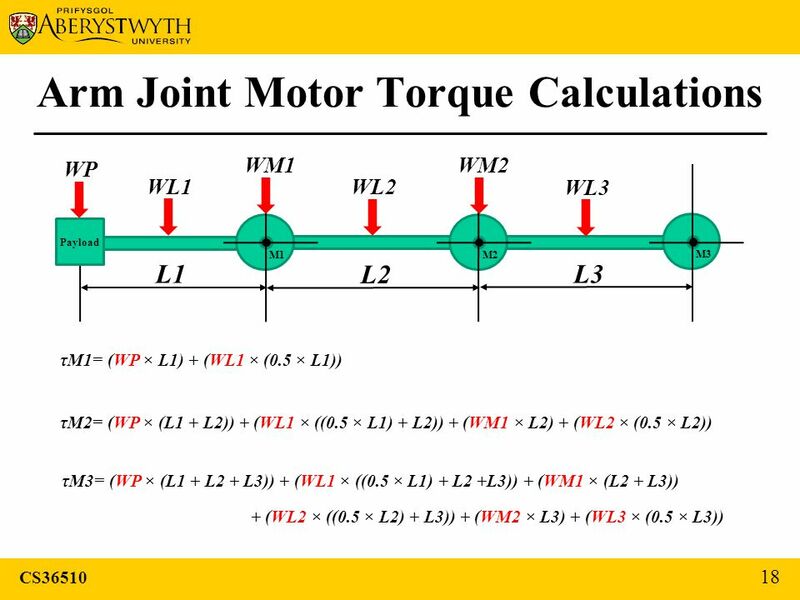 Torque and Equilibrium Lecture 8 Pre-reading : KJF §8.1 and 8.2. Nicholas Lawrance | ICRA Minimum Snap Trajectory Generation for Control of Quadrotors (Best Paper ICRA 2011) Daniel Mellinger and Vijay Kumar GRASP. 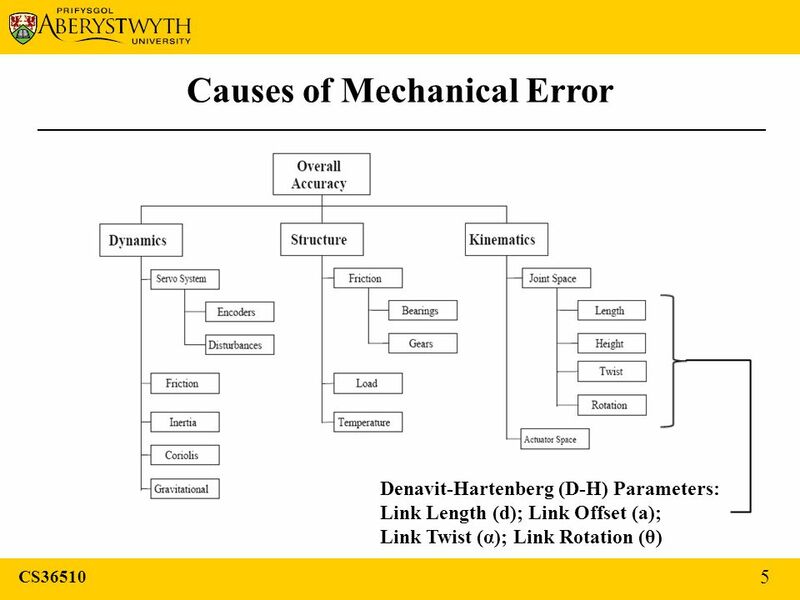 DYNAMICS 1. Newton’s Three Laws Newton’s First Law Existence of inertial systems of reference In inertial system of reference, any object acted by no net.